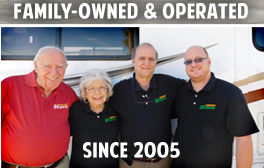 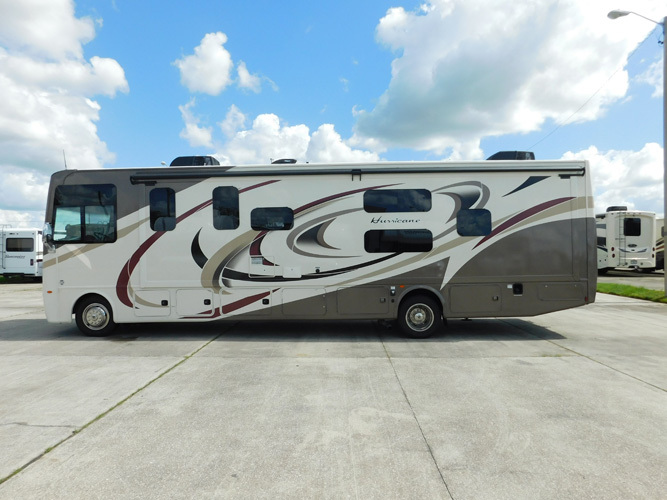 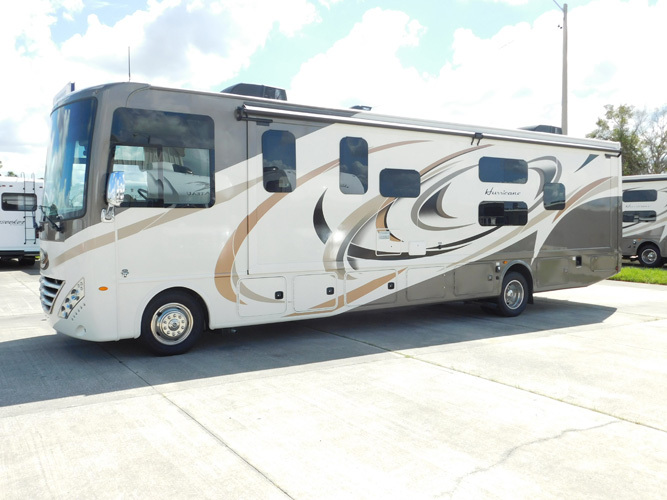 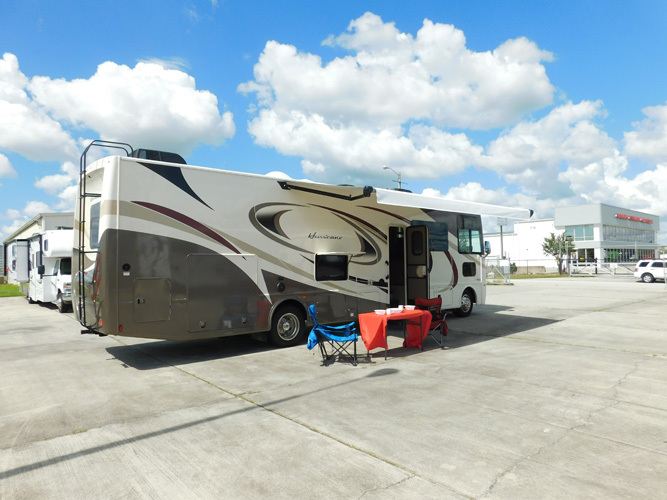 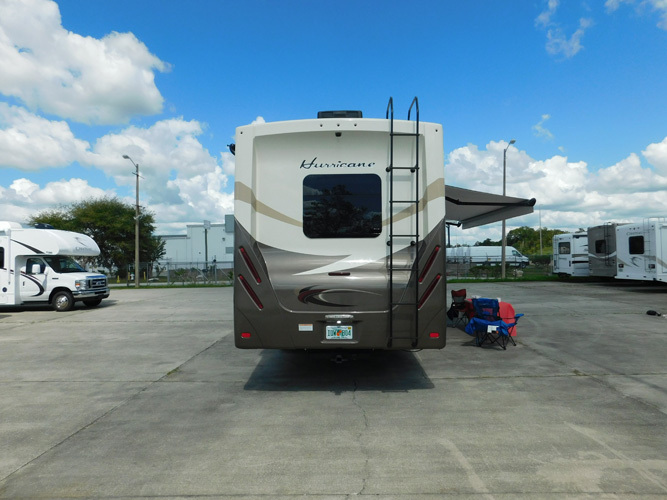 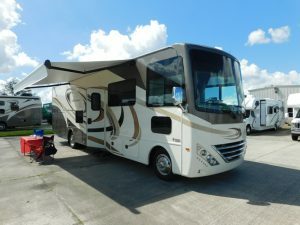 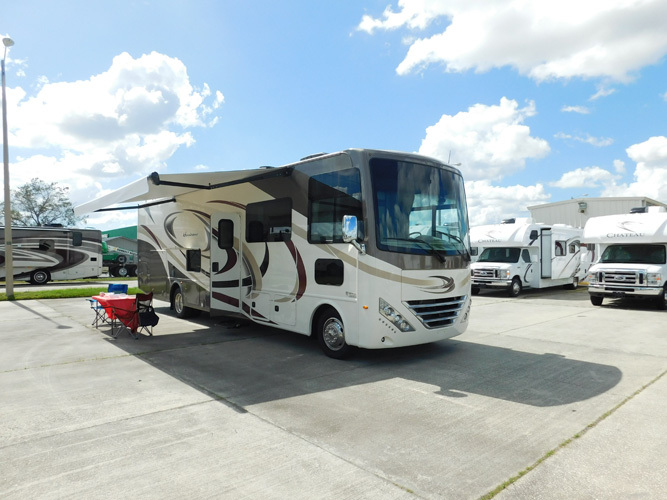 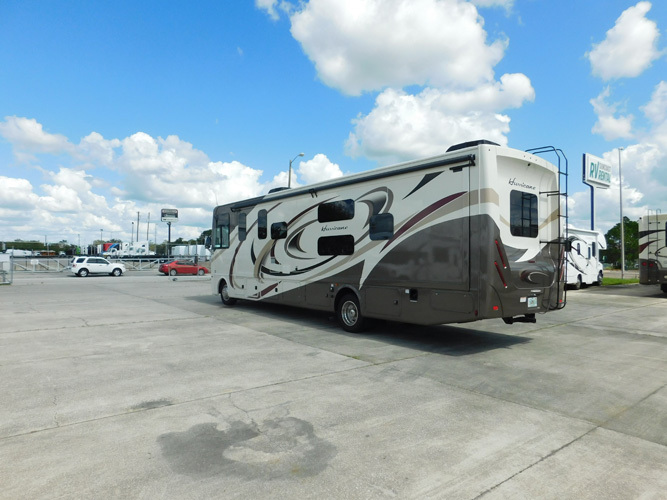 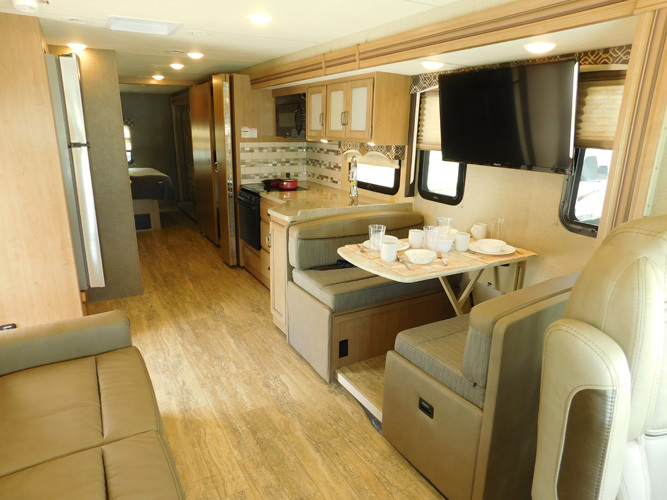 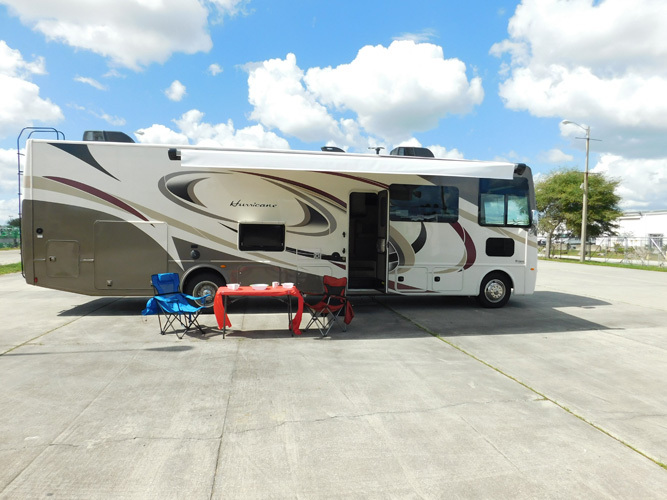 Thor Motor Coach’s Hurricane 2 is a Class A gas motorhome with a full wall driver’s side slide out and sleeping for up to ten, including a set of bunk beds. 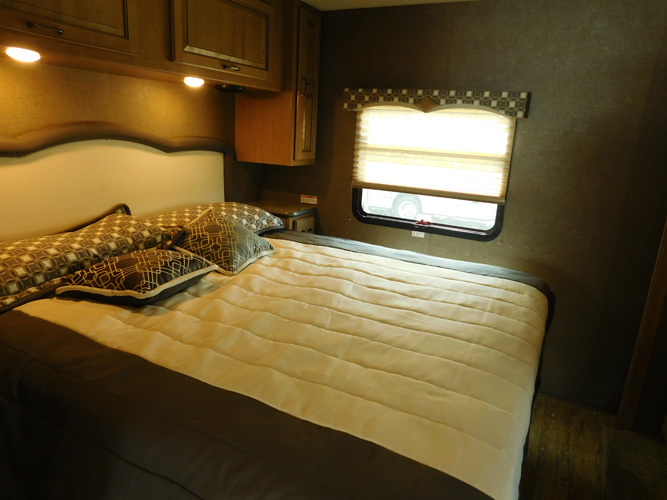 A rear bedroom provides a king size bed with nightstands on each side and overhead cabinets the width of the bedroom. 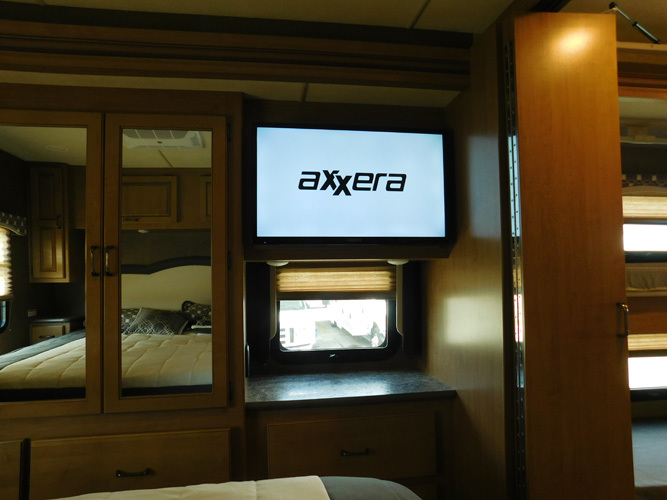 The wall opposite the bed is part of the full wall slide and offers a wardrobe and a dresser plus a 32″ LED TV. 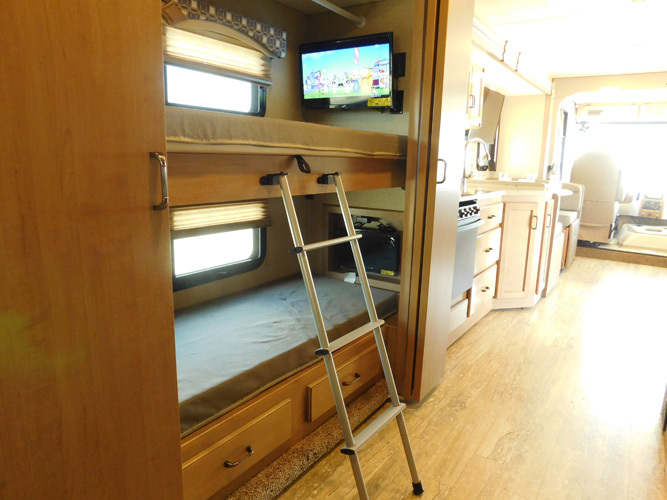 Outside the bedroom, the slide out continues with the bunk beds that convert to a sofa. 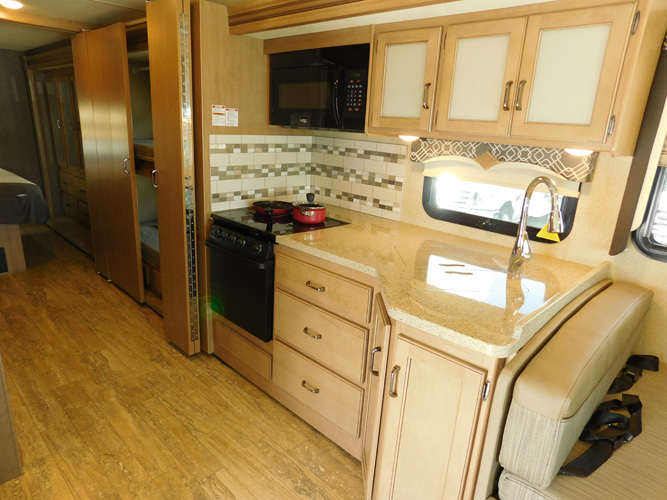 Moving forward, a three burner range, overhead microwave, corner angled kitchen sink, counter space, overhead cabinets and a dream booth dinette complete the full wall slide. 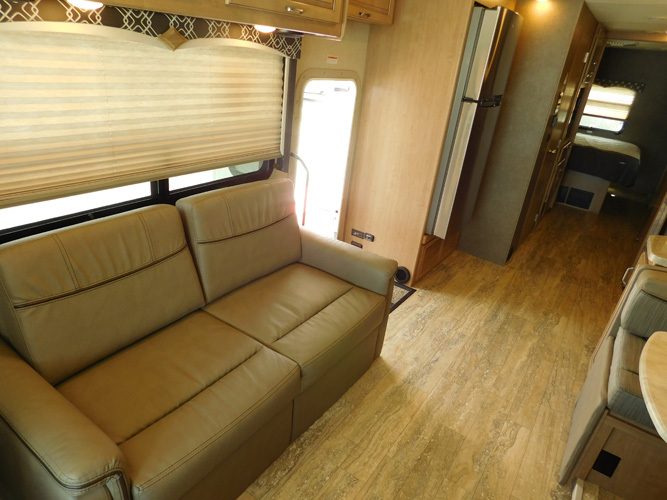 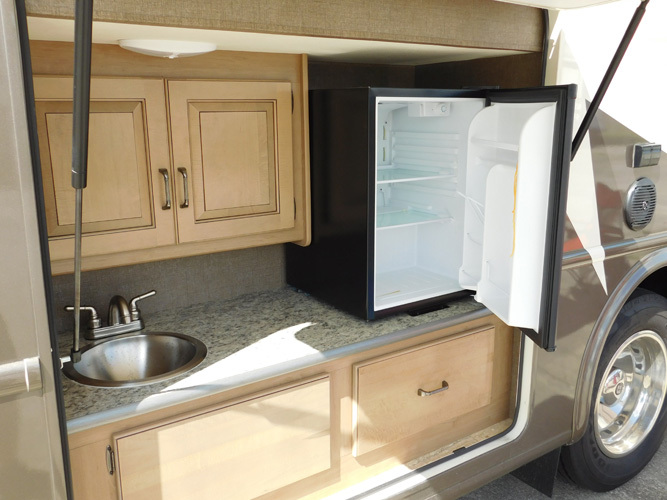 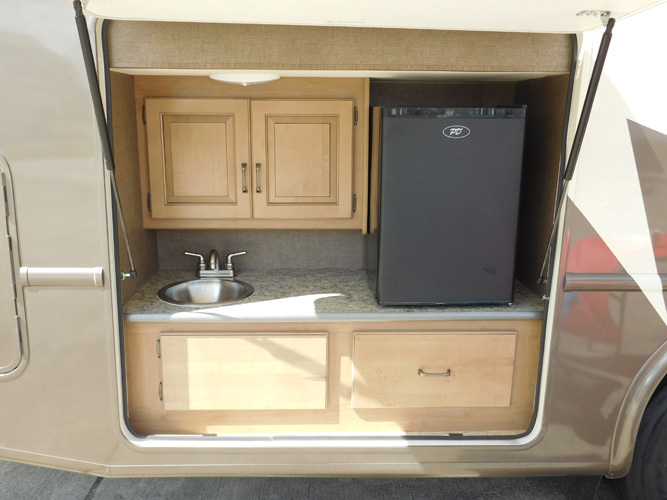 A 40″ LED TV is mounted above the dinette. 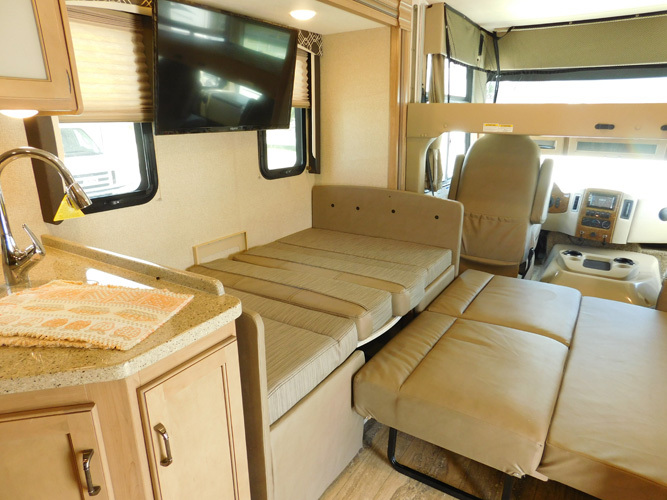 Across the front, you may decide to use the drop-down overhead bunk for additional sleeping space or enjoy the coffee table between the two captain’s chairs in the morning while reading. 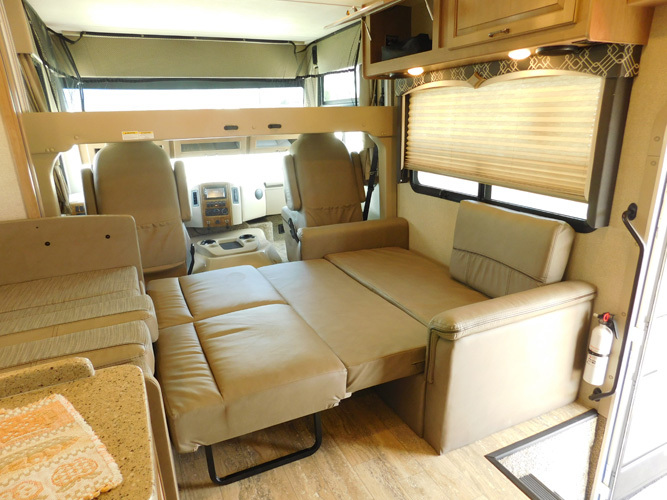 A sofa is just behind the passenger’s seat with overhead storage that extends over the entry door. 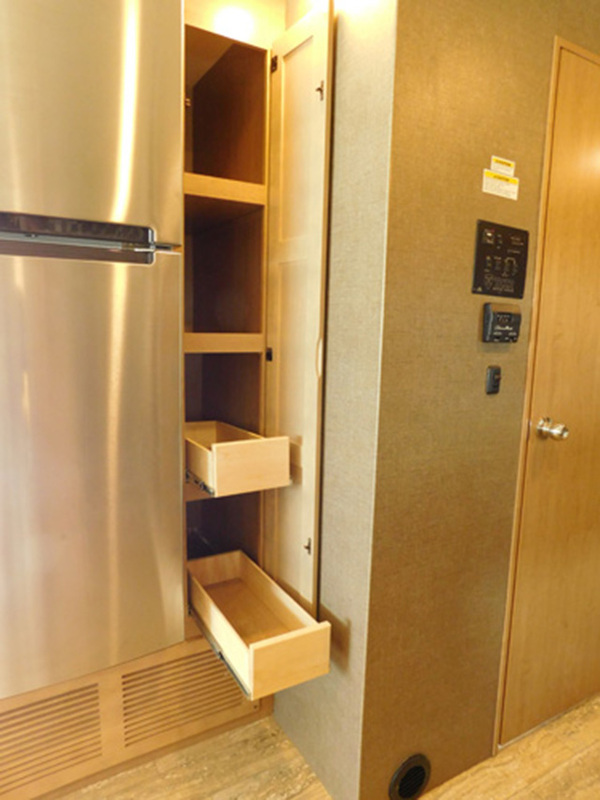 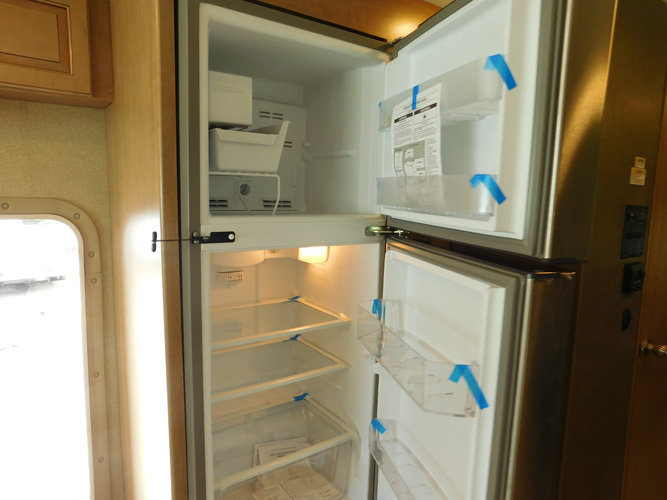 A residential refrigerator and pantry are just past the entry door. 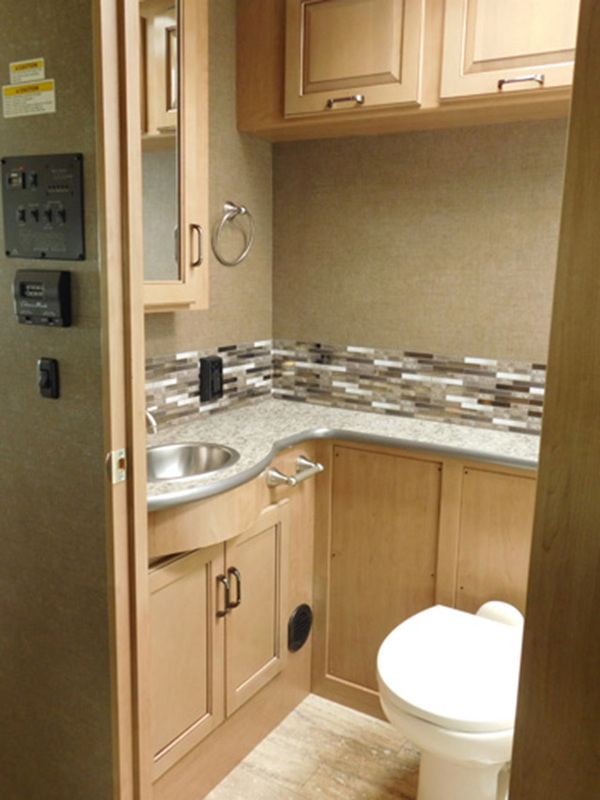 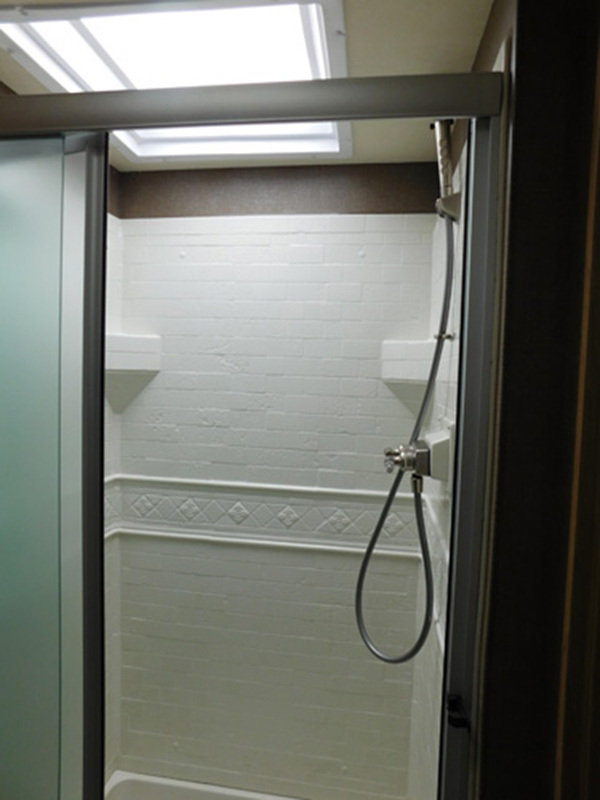 A side aisle bath along the curbside wall provides a shower, toilet, generous vanity with sink, overhead storage, and a medicine cabinet.